Building your own home is a dream for many people, and it is a fantastic move to make. But there are plenty of potential hazards that need to be avoided as well. Here’s what you need to know about the process before you start. Before you go any further, you should draw up a plan of action. This will guide you along the way and clarify exactly what you want to achieve from the whole process. The plan should outline how much each part of the process is likely to cost. And remember to add some extra cash on top of your budget because there are always unexpected costs that you’re likely to incur during the process. If the plan is fully costed and it covers all bases, it could help you to stay on track and avoid major mistakes. Finding a plot of land should be your next step. This is obviously a vitally important part of the process. Where you build your home is often even more important than the actual home you build. You want it to be in a good location that offers you the transport links and the local amenities you need. The cheaper plots of land will usually be undesirable in some way, but that doesn’t mean those plots are unusable. Picking an interesting location to build on makes your home unique and cheaper to build. If you have no prior experience of designing a home from scratch, it’s probably not a great idea to do it by yourself. You could hire a home designer who will be able to prepare a house plan for you. Or you could hire an architect to get on board and prepare the whole internal and external design of the home with you. There are so many options at this stage of the process. You could use a company that offers custom built properties based on prefab cottages or other specific types of home. This gives you a custom home with a tried and tested core structure to it. For most people, the appeal of building their home comes from the fact that they can build it exactly how they want it. And this is definitely true. But you do also need to keep resale potential in mind when it comes to designing the home. You don’t want to build the kind of home that will be unlikely to appeal to nobody other than you. If you do that, you’d have trouble eventually selling it. You might think that this is the home that you will spend the rest of your life in, but nobody can predict the future. You never know where you might want to live in 5 or 10 years time. More and more people who decide to build their own homes are deciding that incorporating green ideas into their design is a good idea. This is something you can talk about with your architect if you decide to hire own. There are all kinds of different green innovations that can be incorporated into your home’s design, so there’s lots to consider. You could include built-in solar panels on the roof of the home. Or you could make sure that the walls and insulation are made from efficient and sustainable materials. The golden rule of house building is never to start the job before you have the right permission. Doing so is a huge mistake, and one you can’t afford to make. As the owner of the land the property, it is your responsibility to make sure that you have planning permission from your local authority. It’s you who has to submit the plans and make sure that it meets all the necessary guidelines. If you fail to do this, the local authority would be within their rights to order the demolition of your property. So, don’t make this mistake. Before you can start to build on it, you’ll need to prepare your plot of land. Before the actual building work begins, the trenches will need to be dug, and preparation for the foundations will need to be done. The drainage will have to be sorted out. A professional can take care of these things for you. But there are some things that you can do by yourself. For example, the plot will need to be levelled for it to be suitable to build on. Checking it and levelling it if necessary isn’t too hard to do, so you could do this part of the job by yourself. Once the planning and preparation have been completed, the only thing left to do is start building the home. This is something that you will probably need help with. If you’re using a company that designs and builds the property for you, then you won’t need to worry about this because they’ll d the work. But if you’re going it alone, you’ll be the one who’s responsible for hiring the right people who can get the job done quickly and safely. 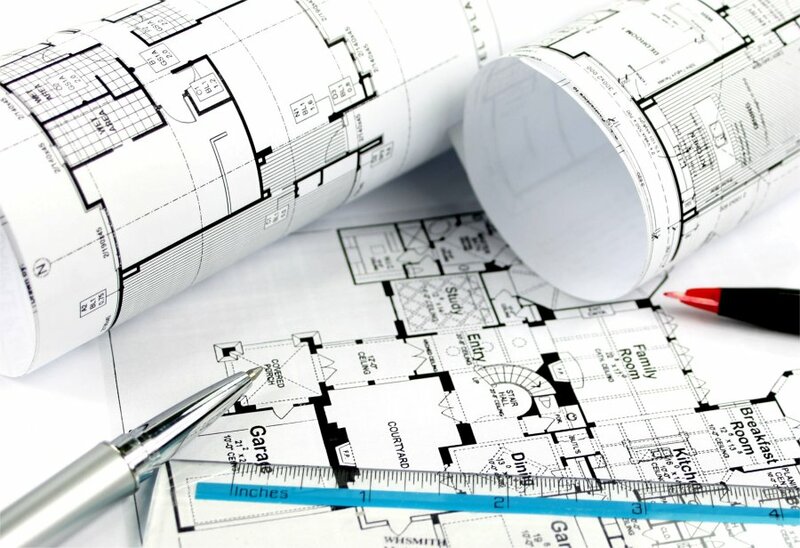 There will be lots of building firms to choose between in your local area, so it’s always a good idea to get recommendations and compare offers. When all the hard work has been done, and the property is finally habitable, you can move in. This is the part of the process that you’ve been working towards since you started, so try to enjoy it as much as you can. But it’s not all about enjoyment, there’s lots of hard work that has to be done too. You’ll need to move all your old possessions and pieces of furniture from your old home to your new one. If you ask me, this part of the process requires a team of professional movers who know what they’re doing. That’s the only sure-fire way to make sure that mistakes won’t get made, and possessions won’t get lost in transit.